1. Show up in local searches by listing your business on local directories. When a potential client is looking for a product or service, they usually start with a Google search. This search will bring up a Google listing and other listing directories like HomeAdvisor, Manta, AngiesList, Yelp, Zomato, and others. Claiming and updating relevant listings is an easy way you can get started today. You don’t need an in-depth knowledge of SEO to do this. You just need to allocate enough time to figure out where you want to list your business and what type of customers will be using those listing services. From there, you can make a list of directories to start with and get to work. 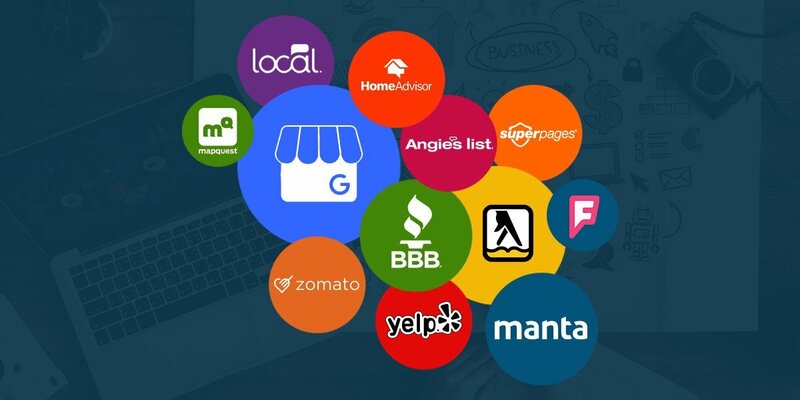 It is extremely important that your business take advantage of these free local listing services to ensure you are visible to more potential customers. The most important of all is your Google My Business listing. These other directory websites are important but Google is king and optimizing your Google listing will go a long way. When people do a Google search for your business, this is the information that will pop up alongside a Google map for people to find you. Be sure this information is correct and consistent with what is on your website. This search engine result is oftentimes the first place people interact with your business online. Google My Business allows you to provide all the information a potential client needs to find you or work with you. Once you “claim” your business listing, there are an array of options. Give details about the products and services you offer. There are many more possibilities with Google My Business and you should definitely claim your listing if you haven’t already. Google gives you the power to inform people quickly about your business and how you can help them. The other listing services work in a similar fashion but Google My Business is the most important and most intuitive of all the other websites. 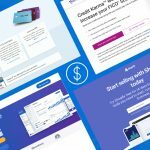 Other local businesses are taking advantage of these tools and if you don’t, they could be stealing your valuable website traffic. When you optimize your Google listing, you have a higher chance of being in the top businesses that show up in search. 2. Pay attention to customer reviews and take them seriously. Even if you don’t claim your listings, customers can still leave reviews about your business. If you don’t claim your business listing, you can’t respond to the reviews and handle them in a professional manner. As a business owner, you should watch your reviews and respond to them whether they are positive or negative. If you receive a positive review, thank your customer for their business and invite them to come back or use your service again. If you receive a negative review, apologize for the inconvenience, listen closely to what your customer said, and respond in a professional manner. Make the customer feel like you’re going to do everything in your power to make them happy. This practice could turn an unhappy customer in to a returning customer if executed properly. This isn’t just a part of our local SEO tips, this is a basic customer service rule. Maintaining good customer service on Google, Yelp, and other platforms has a direct effect on your search engine rankings. Google keeps track of your reviews and will boost your business up in ranks if you have good reviews. After all, Google is in the business of satisfying their customers, too. To drive this message home, it has been reported that 93% of people claim that customer reviews impact their purchasing decisions. (SOURCE) Keep your reviews positive, and more people will be inclined to do business with you. 3. Create SEO optimized content for your customers. 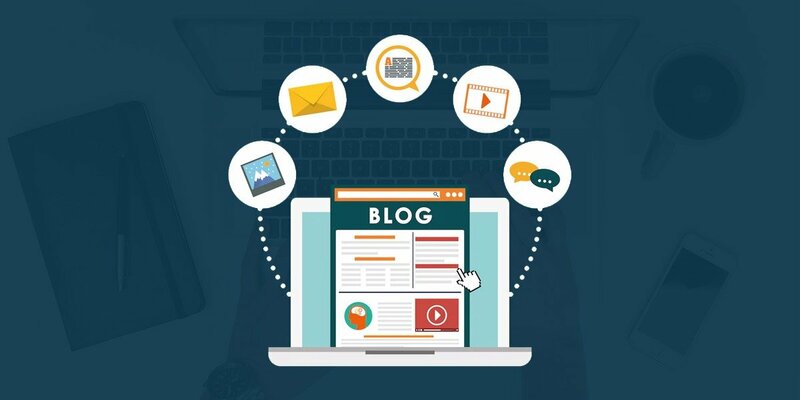 Creating a blog for your company is an effective way to boost local SEO. Search engines and customers love and appreciate quality content. Talk to your web designer or someone in charge of marketing to set up a content strategy for your website. In the past, you could just focus on keyword research and fill your content with these high level keywords but this isn’t the case anymore. Your content needs to be useful and resourceful to your customers. Putting keywords in your content still matters but not as much as it used to several years ago. Figure out who your target customer is and curate content for them. Write about topics that would help them in their buying decision. To create long term SEO success, you need to help your website visitors, use quality keywords, and create an incredible user experience when people land on your website. To help your visitors navigate through your content, consider internally linking between posts. Find a connection between your posts and link to an article that will enrich the reading experience. Providing your readers with more helpful content helps them and it boosts the amount of time they are on your website, reading your content. This in turn boosts your search engine visibility. 4. Build a strong social media presence. Creating a strong social media presence is crucial to building your search engine presence. Make sure your business is active on any social network that would benefit you. Facebook and LinkedIn are the basics but get active on Instagram, Pinterest, Twitter and any other platform that your target market is using. If you are a business to business (B2B) company, you may benefit from social media websites like LinkedIn or Alignable. That is where your target market resides. 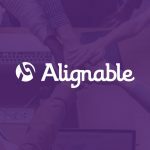 If you are interested in learning more about Alignable, check out our article about the platform and how to get the most out of it. If you are a business to consumer (B2C) company, you may benefit from social media websites like Facebook, Instagram, or Pinterest. Your main goal is to figure out where your customers are and put your business in front of their eyes. If you are a well known brand, chance are there are discussions going on about your business on these sites, especially Facebook and Twitter. Get involved in that discussion and keep up with what’s being talked about. Social media presence is a ranking signal in the Google algorithm and coincides directly with search engine rankings. If you want to rank high and maintain a healthy online presence, get active on social media. Be sure that your website has clear links to your social profiles. You also want to be sure to share all of the useful blog posts that you have been making across these social platforms. Start paying attention to your social media and it will reward you in the long run. If you don’ t have the time to invest in to social media, working with a digital marketing consultant might be a good idea. Noctem Media can help with this. We offer social media marketing services that are designed to get results. To get started today, you can start utilizing the many tools out there to help maintain your social media presence. Most social media platforms give you the basic tool set to get started. With services like Facebook and LinkedIn, you can schedule posts, view basic analytics, and fully customize your business profiles. 5. Be sure your website is mobile responsive. In a world dominated by mobile devices, your business website needs to be accessible from every device. If your website doesn’t respond well on mobile, you could be missing out on tons of traffic. This is one of the most important Google SEO tips I can give. Google made mobile responsiveness a ranking factor in 2015. This change to the Google algorithm was nicknamed “mobilegeddon” because of the massive impact it had on search engine rankings. If your website isn’t mobile responsive, Google will penalize you. The goal at Google is to provide the best user experience for every user. If your website is broken on mobile and someone clicks your link from a mobile device, Google won’t be providing the best user experience to that user. This will negatively impact your rankings. Your website should not only look nice on mobile, it should function fully on mobile as well. If there is a feature that you implemented on desktop, it should be available on mobile. Do not punish a user for not using a desktop. Google and your users will frown upon that. Google makes it easy to check the mobile friendliness of your website with this free mobile friendly test tool. Give it a try and find out if your website is mobile friendly. If it isn’t, this tool will provide recommendations for improving. It is likely that you will need to work with a web developer to create a new website. Mobile responsiveness is built in to the backbone of your website and isn’t easily implemented in to outdated websites. We wrote an article about mobile friendly web design that goes in to more detail. 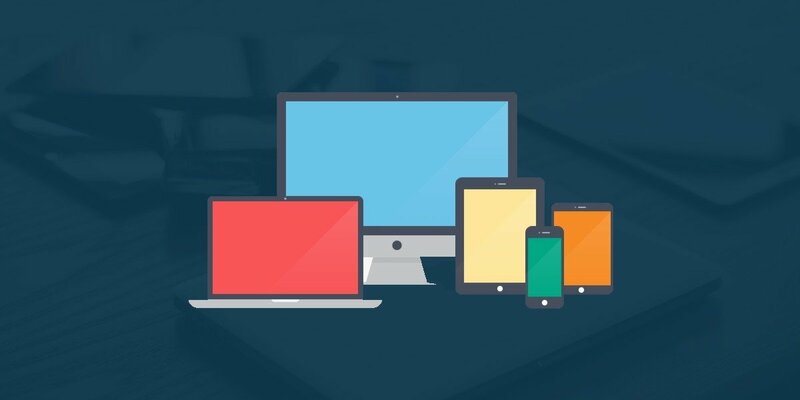 Check it out to learn more about why your website should be mobile responsive. Brainstorm which local directories your business would benefit from and update your listing. Do not look past Google My Business. It is the most important listing service out there right now. These directories open up more opportunities for customers to find you. Pay attention to reviews left about your business. Be sure to be responsive with your reviews. If someone leaves a bad review, address it professionally. If someone leaves a good review, thank them and welcome them back to your business. Having good reviews boosts your search engine rankings and brand trustworthiness. Develop content for your website that is useful to potential customers in their buying process. Find out what your customers are looking for and give it to them. This is a great opportunity for you to build search engine rankings and educate your clientele. Get active on social media. Dive in to the basic tools that are provided with most social networks and begin to engage with your audience. Share your content and post helpful information and encourage people to interact with your business. Having a strong social media presence is great for SEO. Ensure your website is mobile responsive. Over half of all global internet traffic comes from mobile devices. You want to be sure that any potential customer can learn about your business from anywhere. This is another major Google ranking signal. 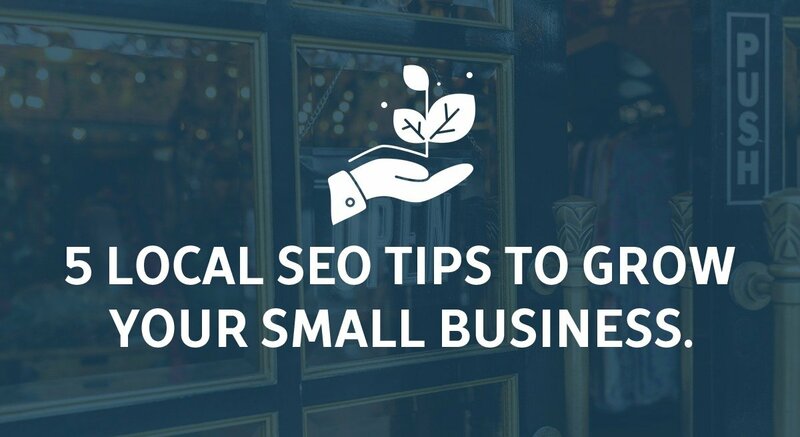 Follow these local SEO tips and your website will be a valuable resource to you and your customers. You will see business increase and more happy and informed customers. Noctem Media is aware of these local SEO strategies and others. 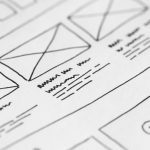 If you’re looking to build a resourceful website for your business and your customers, learn more about our web design services and digital marketing services.